This contemporary video is just filled with happiness and hope. ALMIGHTY God, whose compassions fail not, and whose loving-kindness reacheth unto the world’s end; We give thee humble thanks for opening heathen lands to the light of thy truth; for making paths in the deep waters and highways in the desert; and for planting thy Church in all the earth. Grant, we beseech thee, unto us thy servants, that with lively faith we may labour abundantly to make known to all men thy blessed gift of eternal life; through Jesus Christ our Lord. 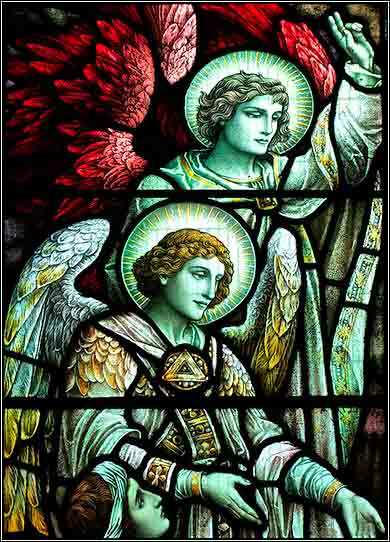 The Archangels Michael and Raphael. Satan wants us to be independent and proud, because then we shrink away from God and depend on ourselves . . . and Satan is stronger than we are. Immediately after the tribulation of those days the sun will be darkened, and the moon will not give its light, and the stars will fall from heaven, and the powers of the heavens will be shaken. Then will appear in heaven the sign of the Son of Man, and then all the tribes of the earth will mourn, and they will see the Son of Man coming on the clouds of heaven with power and great glory. Christ tells us in simple, unmistakable language is that a day will come when He will return and gather his elect, and that His second coming will be announced by terrible disruption of natural forces. The sun and moon will grow dark, and the stars will fall from heaven. We would imagine that such events will end life as we know it and, in fact, we learn in Revelation that the earth will be destroyed. This leaves a huge temptation to speculation. Will it be caused by a global nuclear war? A great volcano? Collision with an asteroid? But speculation is counterproductive in Biblical interpretation. God tells us what we need to know: life on earth will end some day in cataclysm, and we will be saved from it. The details are unimportant, or He would have told them to us. Christ never expected people to simply take him at his word. Throughout his ministry he performed miracles whose primary purpose was to establish his credentials for his claims. He proved his power over death by resurrecting the dead, including his own resurrection. He proved his power to heal us by causing men blind from birth to see. 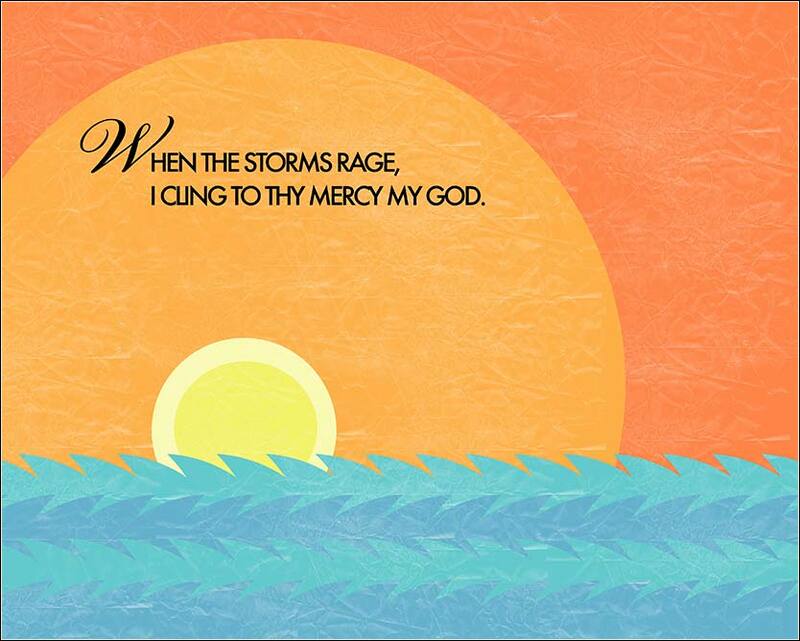 He proved his power over nature by stilling storms. He proved his power to care for us by feeding multitudes with a few fish and loaves of bread. In Matthew 24, he proves his prophetic power by predicting (in the previous verses) the destruction of the Temple and by giving those who would listen instructions on how to survive it. That his prophecy of the Temple's destruction came true, and that his advice on how to survive it was accurate, is an historical fact. Those who did not flee, as he told them to, were butchered: man, woman, and child. Many churches give short shrift to eschatology — the five-dollar word for what will happen at the end of this age — in part because of the confusing weirdness of the Book of Revelation. Or, some churches lack the true conviction of faith in God's Word. But we do not have to read Revelation; here we have it from Christ himself, in plain and simple language. Although the imagery is disturbing, it is not hard to follow. Have confidence in this. It is the fundamental promise of Christianity. It is fantastic, no doubt; but no more fantastic to us than a prediction of the Temple's total destruction was to the listener of 30 A.D.